Robert ‘Nesta’ Marley is arguably one of the most famous musicians in the history of mankind, trumping the Beatles and Michael Jackson. The world is led to believe that Bob Marley is solely responsible for his position in musical and African history. A closer look will illustrate, depending on one’s beliefs, the divine intervention of ‘Jah’ or just plain luck. Bob Marley’s first beneficial coincidence is his grouping with Winston McIntosh, known as Peter Tosh, and Bunny Livingston who is more popularly referred to as Bunny Wailer. Peter Tosh was responsible for teaching Marley how to play the guitar and went on to have a legendary musical career ending in tragedy. In many parts of Africa, Tosh’s fame trumps that of Marley. These reggae Hall of Famers were the backup vocalists for Bob Marley. This is equivalent to Marvin Gaye having Luther Vandross and Teddy Pendergrass as backup singers. While being a member at Coxsone Dodd’s Studio One, considered the Motown of Jamaica, Marley made some of his most memorable tunes backed by the legendary Skatalites whose band was equipped with some of the worlds greatest musicians, including Jackie Mitoo and Don Drummond. During his time at Studio One, Marley made hits ~ I’m Still Waiting, Put It On, One Love, and Simmer Down. The rhythm section of the original Wailers consisted of seasoned musicians formally known as the Hippie Boys playing as the Upsetters, working for the legendary producer Lee Scratch Perry, who is considered one of the most brilliant musical geniuses across all genres. Aston “Family Man” Barrett, who taught the legendary Robbie Shakespeare the bass, and his brother Carly Barrett, were responsible for the smooth grooves Marley used in most of his songs. Carly Barret is listed #29 in Rolling Stone Magazine’s Top 100 drummers of all-time list, while ” Family Man” is listed in Complex Music’s Top 40 bassists of all-time. Once the Wailers separated due to Bunny Wailer’s attitude and resistance against touring and Tosh’s yearning to emerge from Marley’s shadow, Bob Marley and the Wailers were formed. Marley received full financial backing from Chris Blackwell and Island records. Alan “Skill” Cole and Don Taylor played tremendous roles in Bob Marley’s career. Cole, a famous footballer (soccer player), played an integral role in the circulation of Marley’s music on the prejudiced Jamaican airwaves and being a bridge to aspects of society that wanted nothing to do with “stinking Rastas.” Don Taylor was integral in getting Marley the international exposure he received, although he and Marley severed their relationship due to Taylor’s shady dealings. 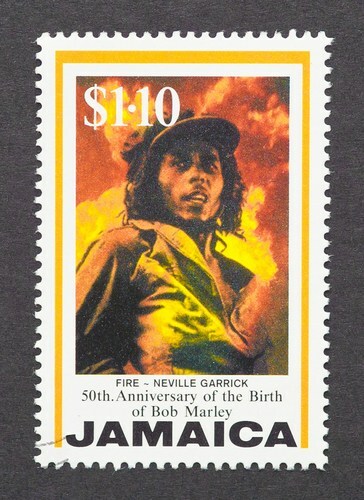 Bob Marley’s complexion also played a role in his international stardom. We must acknowledge the highest-grossing reggae artists of all time are unfortunately fair-skinned—Bob Marley, Sean Paul, Shaggy, and Damien Marley. One has to link this to the psychological disdain for those with dark skin, which is just a harsh reality of the world in which we live.